Three years ago, Katie McHugh — daughter of one soldier, sister of another — got a text from her younger sister. Let McHugh tell you the rest of the story from that day in May 2010 — how she feared the worst for her brother, who’d deployed to Iraq, only to find out her father, Col. John M. McHugh, 46, had died in a suicide-bomb attack in Kabul, Afghanistan, on what was supposed to be a two-week visit. He left behind a wife, five children and, at the time, one grandchild. Three years to the day after her father’s death, Kelly McHugh graduated Kansas State with a degree in journalism. Her dad had been in her thoughts every one of those days and every day since. 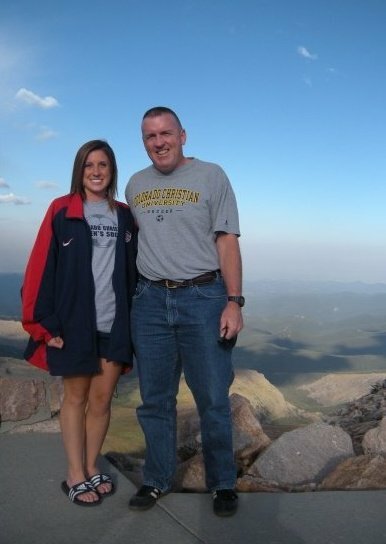 She hasn’t needed the reminders, but they’ve been there — John McHugh played soccer at West Point (Class of ’86), Kelly McHugh interned with Sporting Kansas City, the city’s Major League Soccer club. In August, she helped dedicate the Col. John M. McHugh Training Center at Fort Leavenworth, Kan. — her father’s final duty station. The game fell near, sometimes on, her father’s birthday. It was a window into the pride felt by cadets at West Point. In college, she’d host Army-Navy parties: No cheering for Navy allowed. And Saturday, she’ll attend her first Army-Navy game in person — alongside some of her father’s classmates, whom she’s planning to interview for a book about her dad. McHugh, 22, plans to visit West Point the week after the game to check the school’s archives and learn more about her father’s time as a cadet and a goalkeeper. Aside from one Saturday a year, soccer is the family sport of choice: Bob Bradley, former coach of the U.S. men’s national team and a family friend, spoke to his team of Col. McHugh’s service and sacrifice shortly after the soldier’s death. McHugh said she hopes to finish her book within a year. The work will come alongside her freelance writing jobs and a gig with the Kansas State athletic department’s official blog. Older brother Michael, a chief warrant officer 2, recently returned from an Afghanistan deployment. Saturday, with the classmates her dad knew at the game he loved, the “new normal” continues.